on the hottest of days? you can sit and relax in? 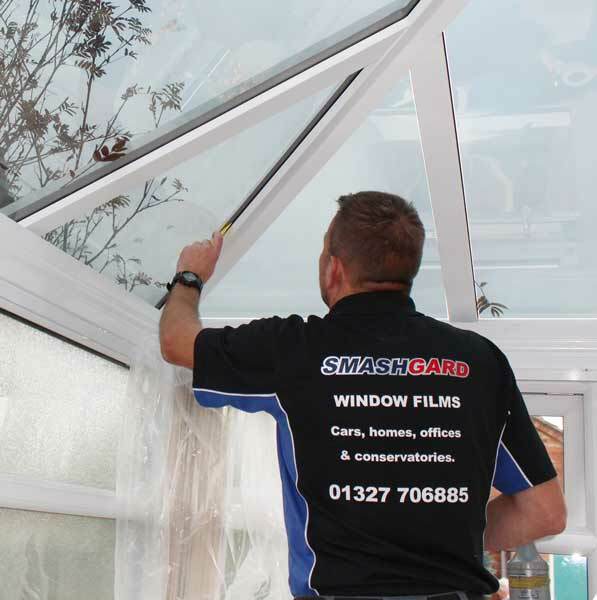 With the sun being at its highest point in the summer months, your conservatory roof is the main point of entry for excessive heat and glare that stops you using it time and time again. Your glass roof should be a feature of your conservatory, allowing perfect views up and out at the sky, with plenty of light in adjoining rooms. Fully bonded to the inside of your glass, our amazing window films totally transform your conservatory from a glass box to something beautiful you can use all year round. Giving a slight blue tint to the glass, the benefits of our films over alternative treatments are endless. Fully installed, with over 13 years installation and manufacturer’s warranty, our films have proven time and time again that they work far more effectively than alternative treatments. Don’t take our word for it – testimonials from our many happy customers can be found here. As experts in the field of conservatory window films and with over 500 completed installs to our name, why choose anything or anybody else? Contact us today via telephone, our contact us form, or if you know the measurements of your conservatory via our online quotation form. By completing this form we can normally come back to you with a quote within 24 hours and speed up the installation process for you.